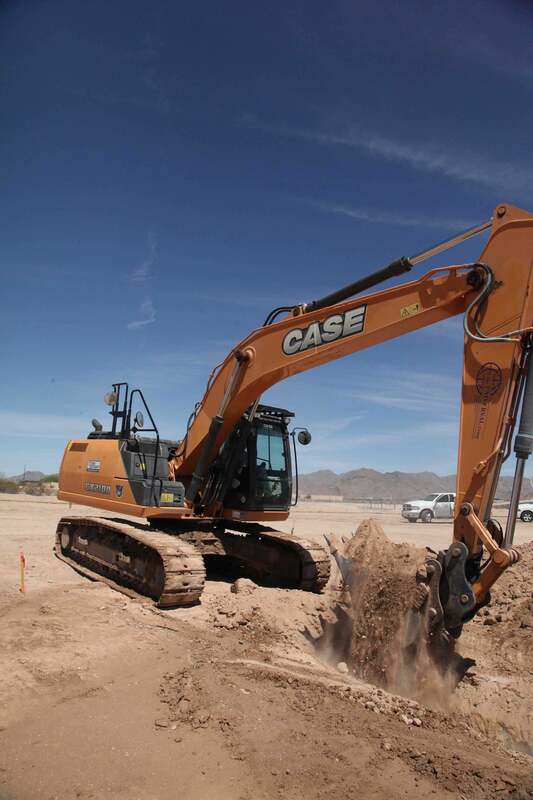 The Universal Group relies on a fleet of five CX210D excavators to dig in extensive utilities at residential and commercial developments throughout the Phoenix area — counting on the longevity they've experienced with the machines, and the support from their local dealer, Titan Machinery. Phoenix is the kind of environment that manufacturers have in mind when they test heavy equipment — temperatures above 100 degrees, tough digging conditions, and a housing market that has rebounded and is keeping contractors and their equipment busy 24/7. The Universal Group is an underground utilities contractor in Phoenix that is benefiting from the current state of commercial, non-residential and residential building construction in the market. 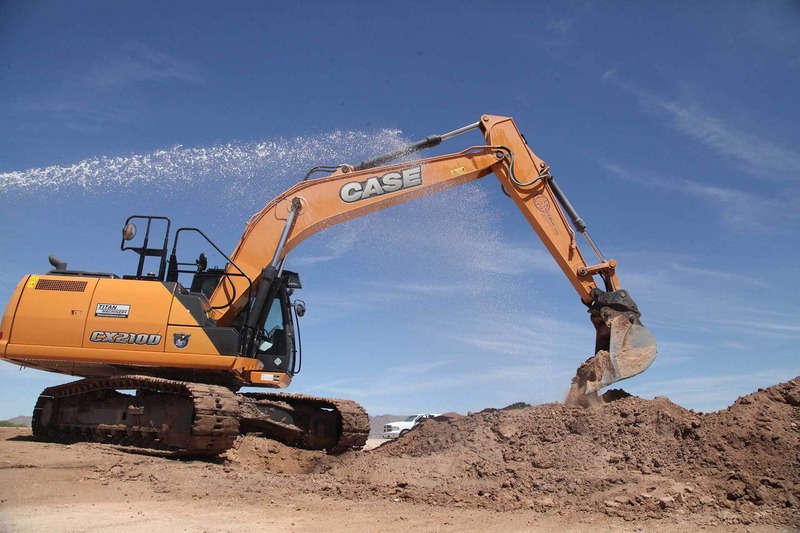 The company specializes in utility excavation – both dry and wet – and runs a fleet of five CASE CX210D excavators supported by local CASE dealer Titan Machinery. 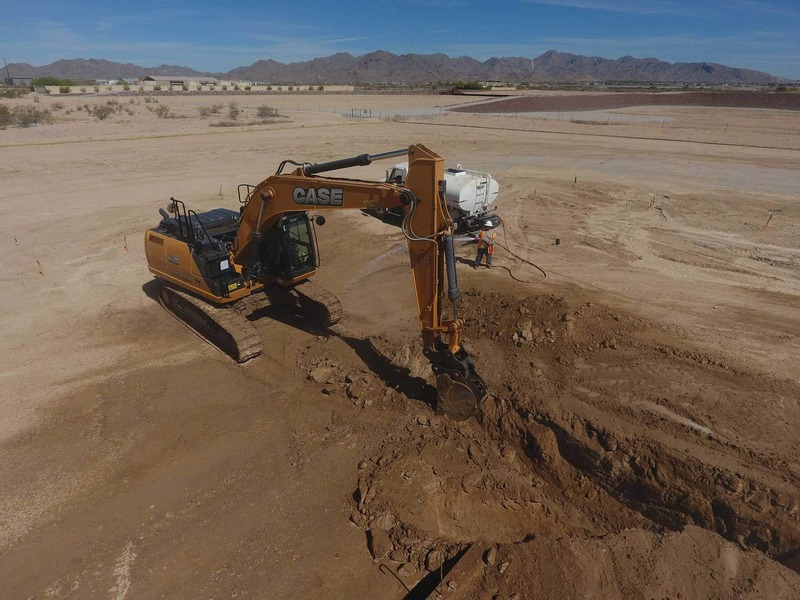 We caught up with the company as they were digging in trenches for the electric and telecom utilities at a massive new residential development in Buckeye, Arizona. At about 49,000 pounds, a digging depth of 21 feet, 10 inches, and outfitted with a narrow 24-inch digging bucket, the CX210D is the proper combination of size and digging capability to allow the company to easily access both residential and commercial work sites. The CX210D helps support the mission of keeping up with [and ahead] of the workload through a powerful and intelligent hydraulic system that has made the machine considerably faster while simultaneously making operation smoother and more efficient. That — combined with the new operator environment with more space, more intuitive controls and an all-new operator interface — has allowed the company to get its operators trained and up to speed more quickly. The equipment is also supported by Titan Machinery as the local dealer, and by CASE through its ProCare program: a suite of product assurances that includes a three-year Advanced CASE SiteWatch telematics subscription, a three-year/3,000-hour full-machine factory warranty, and a three-year/3,000-hour planned maintenance contract. ProCare allows business owners to buy new equipment while making owning and operating costs predictable for the first three years of lease or ownership. The combination of local dealer support and CASE ProCare has proven beneficial for The Universal Group.